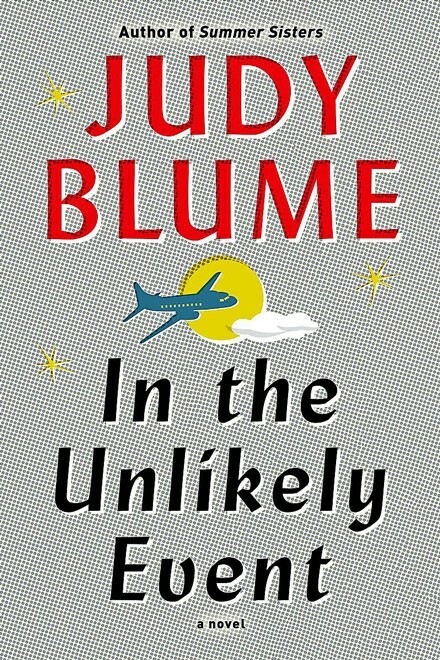 Judy Blume’s most recent book, In the Unlikely Event, is an extraordinarily large-casted, dramatic and emotionally resonant work of fiction. The story line, however, is based on real-life events from Blume’s own childhood in Elizabeth, New Jersey, where three commercial airliners crashed to the ground between December 1951 and February 1952. Blume uses a chorus of voices and a series of newspaper excerpts to explore how these successive tragedies affected the people of Elizabeth. Although the cast of more than 20 characters can sometimes feel disorienting, Blume anchors her wide and inclusive narrative around 14-year-old Miri Ammerman (the daughter of another compelling character, Solo Mom Rusty Ammerman). Miri serves as our adolescent guide, leading us through this complex collage of story lines and voices. And we follow Miri gratefully—as she attempts to make sense of the random violence wrought upon her small community; as she learns about early love with her new boyfriend, Mason; and as she reconciles with her mother’s secrets about her father, Mike Monsky. Miri is a smart and strong-willed protagonist who will be familiar to fans of Blume’s young-adult fiction. And although In the Unlikely Event is Blume’s first adult novel in 17 years, it deftly defies categorization; the book contains much of her signature forthright honesty about the lives of young people, their individuality, sexuality, and anxieties, and it simultaneously navigates the more adult territories of political change, community loss, and solo parenting. Blume tactfully begins and ends the novel with chapters from Miri’s perspective on a 1987 trip home for a commemorative event honoring the lives lost in Elizabeth. This literary time traveling enables Blume to use a retrospective narrative style and give Miri both adolescent and adult insights. And a skilled time traveler she is. Blume’s writing is packed with 1950s-era detail: saddle shoes, Volupté compacts, cashmere sweater sets, and refinished basements with jukeboxes playing Nat King Cole. Although impressively rendered, the book’s vintage setting is sometimes limiting, especially around the themes of families, Solo Moms, and children of Solo Moms. Miri wishes she had a more conventional, “perfect” family, and Rusty grapples with crippling shame around Miri’s paternity and insecurities about her solo motherhood. Miri and Rusty exist in an outdated (although historically accurate) world of suburban pressures, conformity, secrets, emotional repression, and unspoken feelings. This is not to say that their struggles aren’t relevant now, but, at times, the narrative concerns of Miri and Rusty might feel less nuanced, less complex than contemporary narratives of Solos Moms and their daughters. In the Unlikely Event is a wonderful read, and it is rich with valuable examples of humanity in the face of random tragedy and fear. The book also continues Blume’s legacy of graceful attention to the everyday, to stories of Solo Moms and their daughters as they shoe shop, negotiate curfews, and learn to talk frankly about burgeoning sexuality, loss, grief, and young adulthood. Miri and Rusty navigate the mother/daughter relationship in relatable chapters that give this book its shape and impact, and all readers should be grateful to Blume for investigating the beautiful nuances of solo motherhood and daughterhood in this novel. Lucinda Segar is a writer and educator living in Hudson, New York. She holds an MFA in writing from Columbia University and currently teaches writing at the Fashion Institute of Technology, as well as multidisciplinary workshops for kids in Hudson at Kite’s Nest and the Hudson Intermediary School.